All Posts Tagged With: "Jennifer Aniston"
I’m excited to share with you my interview with Wella colorist Eva Scrivo. Eva is a stylist, colorist, and owner of the Eva Scrivo Salon in New York. Eva is also known as the Long-time stylist to Martha Stewart and a frequent guest on her show. And on top of it all, she is an all around beauty expert and has a call-in show on Sirius called Beauty Talk and wrote a beauty guide that will be published for Fall 2010. In this interview Eva Scrivo talks about why she has decided on a career in hairdressing and some of her biggest breaks as a top colorist. Gives advice on hair and on what does it take to have a career as a top hairdresser. You will also find out which city Eva loves the most. Marta Walsh: When and why did your fascination with hair begin? Eva Scrivo: Growing up, I was an avid student of the arts. Painting, pottery and theatre were all subjects I loved. This absolutely laid the groundwork which led me to choose a creative field like hairdressing as a career. Watch Marta’s video blog for today talking about the September issue 2009 magazine covers. Jennifer Aniston graces the cover of Elle Magazine September 2009 dressed in a leather dress, which I really would like to own & wear…just beautiful! Jennifer’s hair is THE hair of Hollywood: beachy soft waves and the perfect honey blonde highlights. What’s your beauty secret Jeniffer? Jennifer Aniston wears Dior’s Ultra-Gloss Reflect! Jennifer Aniston loves Dior Addict Ultra-Gloss Reflect! Celebrity makeup artist Jorjee Douglas, who recently worked with Jennifer Aniston on the set of the upcoming film “The Baster” (also starring Jason Bateman), says that Jennifer can’t get enough of Dior’s Ultra-Gloss Reflect in Beige Velvet #127. Douglas is a well-known Hollywood makeup artist, who also has credits for “500 Days of Summer,” “He’s Just Not That Into You” and the recent Gwyneth Paltrow film “Two Lovers.” She called in tons of Dior product while working with Aniston on the New York-based set this summer! 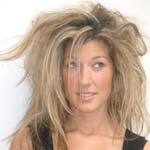 With the summer coming on strong along comes the hot weather and the Frizz that takes a home in our hair. We all wish that we can go from freakishly wild to sleekishly styled and now we can with Citrè Shine’s Anti – Frizz Serum! We all want to get the look of Jennifer Aniston but often can’t afford it! Citrè Shine doesn’t break the bank! This high-gloss yet lightweight serum is formulated with a customized blend of citrus ingredients, vitamins, silicones and a UV protectant to lock in moisture and tame flyaways. Citrè Shine Shine Miracle Highly Laminating Anti-Frizz Serum utilizes shine enhancing citrus extracts that effectively protect hair from thermal styling damage and environmental stress. I have my favorites when it comes to legendary hair: Jennifer Aniston, Gisele, Alessandra Ambrosio and now Kristin Cavallari! I LOVE Kristin Cavallari’s hair, it’s long, it’s wavy but not frizzy, and it has that Boho Chic/Rock Chic look which I’m into. CHANEL Beauté and its Makeup Artist, Angela Levin, created Jennifer Aniston’s look for the 2009 Academy Awards. How to get Jennifer Aniston’s Oscars 2009 red carpet makeup look: Angela prepped Jennifer’s skin with CHANEL Hydramax + Active Moisture Boost Cream. She then used a foundation brush to apply CHANEL Lift Lumiere Firming and Smoothing Fluid Makeup in Beige all over the face. Tell us what you think! Does Jennifer Aniston looks hot or not?